Modern life is moving too fast, your phone is buzzing with notifications, you’re swamped with deadlines. And you probably live in a loud, polluted city. If you’re not stressed now you’re either superhuman or it’s going to catch up with you soon. Either way, what you need to do is spend a week on a beach, reading a book, swimming, surfing or just napping. Slather on your sunscreen and read on for our pick of the best beaches in the New East. If you’re not a fan of 30C heat and scorching sun, the Baltic Sea is an obvious pick — it’s still warm and sunny during the summer, but you can survive in a non-air-conditioned Airbnb and, most of the time, be outside during the day without risking heatstroke. You’ll also get to enjoy the glorious northern beaches. White sand, giant rocks, pine trees and wavy sea abound on the narrow Polish peninsula of Hel. The peninsula has several villages that are home to small resorts: depending on the location you can choose to camp in Chalupy, eat seafood in Kuznica, go wind- and kitesurfing in Jurata or visit the lighthouse and seal sanctuary in Hel, the last town on the peninsula. The seal sanctuary, even though it welcomes visitors, is not a tourist trap since its main goal is conservation, plus the rehabilitation of seals that are bred here before being released into the wild. If you can only do so much lounging around on the beach, attempt the challenge of walking around the entire peninsula without leaving the beach and promenades; you can also hire a bike. You can reach the peninsula by train (year-round) or boat (only in the summer) from Gdynia, Sopot and Gdansk. July and August are high season, so make sure to book accommodation in advance. 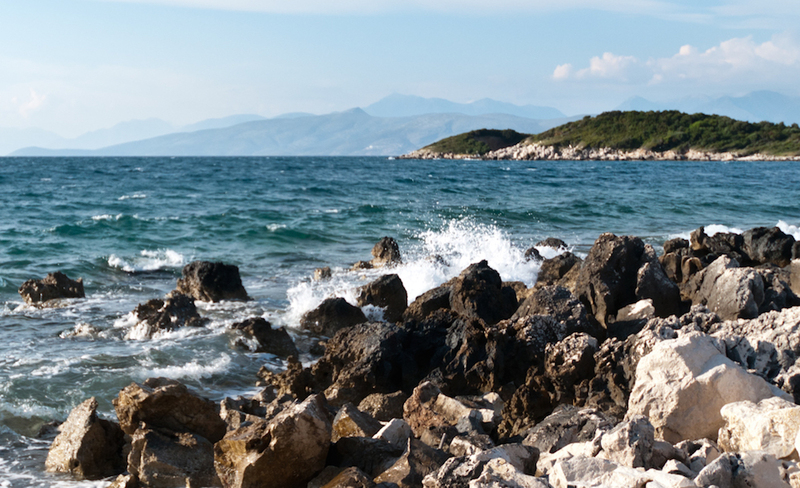 The village of Ksamil is situated south of Saranda, the unofficial capital of the Albanian riviera, and is not far from the Albanian-Greek border. In fact, it’s so close to Greece that it makes more sense to fly to Corfu and take a boat to get to Saranda, as a bus from Tirana will take about five hours. From Saranda there are regular buses to Ksamil, which is located on a peninsula, inside Butrint National Park. The village beach is small but with crystal clear, warm, turquoise waters and decent tourist infrastructure, which means it’s a good place to go if you want to hire a sun bed and a parasol and fall into a lazy coma for the day. There are a variety of cafes and restaurants but during high season the area can get a little crowded. To get away from people, hire a boat and go to one of the three Ksamil islands, which are just a short sail away and are usually less crowded, although the smallest and closest of the islands can be reached by swimming. The fresh local seafood is the stuff of legends, so plan an evening beach picnic of take-away grilled fish or prawns and pick up a cheap and cheerful bottle of cold Spumante from a nearby shop. 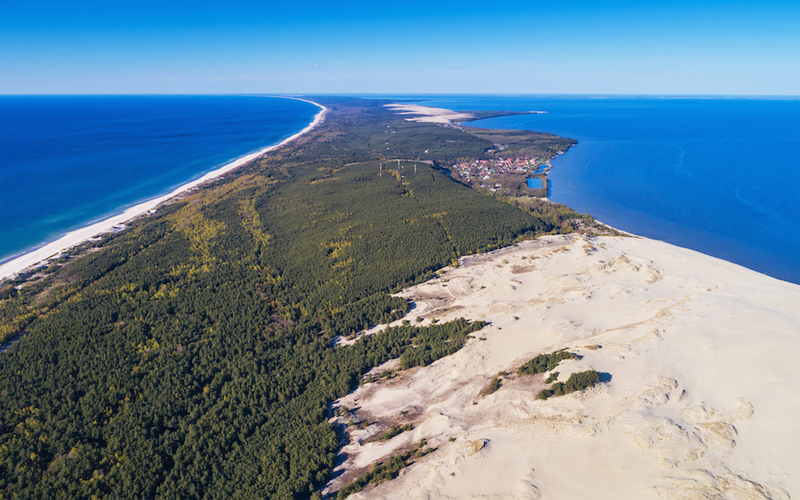 The Curonian Spit is a peninsula the traverses the border between Russia and Lithuania, but is easier to stay on just the Lithuanian side if you require a visa to travel to Russia. The area is often referred to as the Lithuanian Sahara as sand dunes stretch for kilometres; the most popular resort on the peninsula is Nida, a town that boasts a constant population of just over 1,500 people close to the Russian border on the Curonian lagoon shores. The town dates back to the 14th century, though it has been forced to move since then because of the shifting sand dunes. 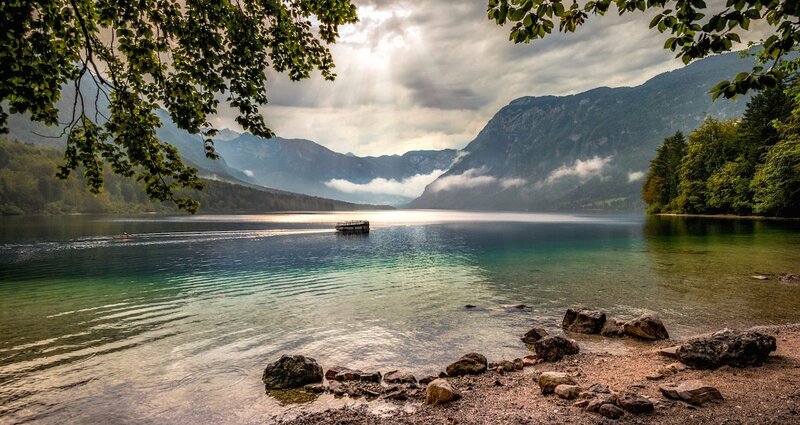 In the Soviet era the area was restricted and open only to party elites, but even now the area is hardly swamped with tourists as the supply of accommodation and hotels is limited — new developments are restricted in order to protect the natural environment. You can swim on warmer days and go for hikes on cooler ones, while locals recommend assembling a picnic of local delicacies like smoked fish, rye bread and beer before climbing up a sand dune to watch the sun set over the water. The Parnidis Dune, just outside of Nida, is one of the highest on the spit at 52 meters, and the view over the peninsula and sea is spectacular. When walking around the area remember to stick to paths if they are available, as you might be fined if you’re found outside of them: this is done to protect the fragile environment of the dunes. 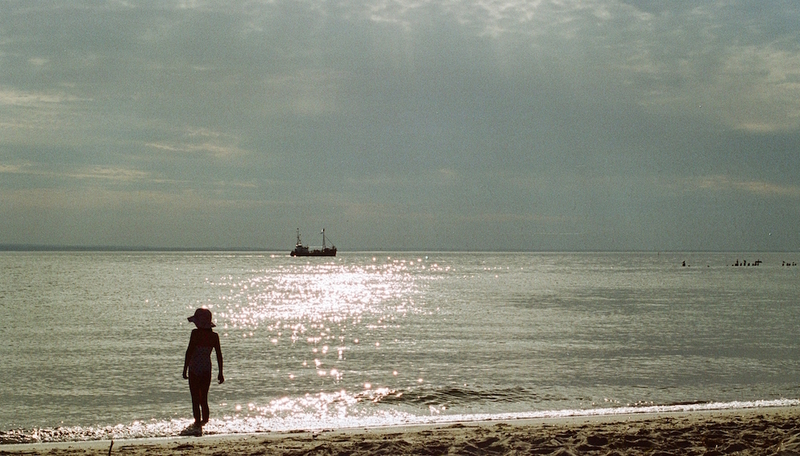 There is also a campsite near the town, and a nudist beach on the Baltic Sea shore if that’s more your vibe. To reach the peninsula, which only connects to the mainland on the Russian side, without leaving Lithiuania, take a short ferry ride from the port town of Klaipeda. If you’re a woman and are travelling by yourself or with other women, escape the crowds of other beaches in Montenegro on the secluded, rocky, women-only beach (Ženska Plaža) in Ulcinj. It’s fenced of and partially guarded by cliffs and tall pine trees with no men or boys allowed in, and the beach itself is frequented by a curious mix of Muslim women and nudists. 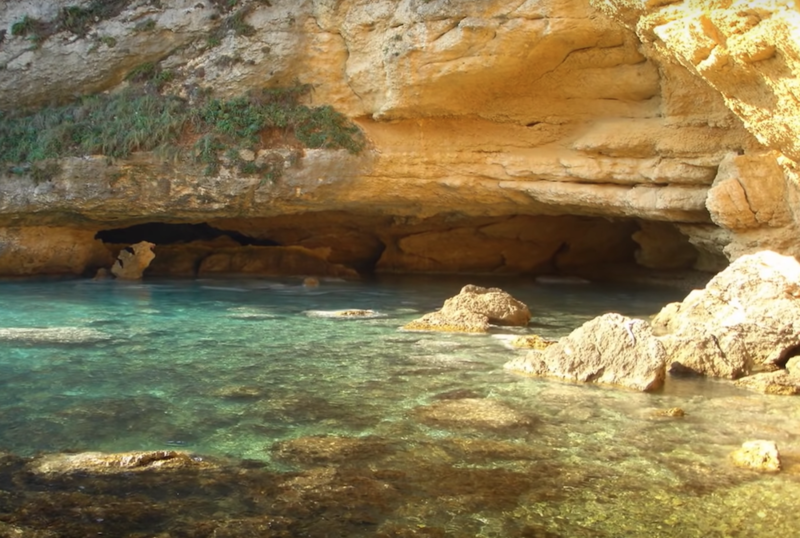 The beach has a small pebbly strip and several cliffs with ladders to get into the water, plus plenty of sunny and shady spots for lounging; the waters are known for their therapeutic properties, as the sea water mixes with sulphur from an underground spring. The atmosphere is best described as serene and with the smell of pine trees and silence guaranteed by the seclusion of the beach you’ll struggle to believe that the crowded and touristy city centre of Ulcinj is just a 30-minute walk away. There is a small charge to enter the beach, and there is a cafe on site, as well as sun beds and parasols. You can also get a massage or have yourself doused in the local mud, which is also believed to be therapeutic. The Paklisnki (or Pakleni) islands are located a short boat ride away from the lively city of Hvar and offer a quiet getaway from the festivals and beach parties. The islands are often recommended as the calmest spot in central Dalmatia, offering multiple lagoons and secluded pebbly beaches, although during high season these too can be quite popular. The water is turquoise and crystal clear, so if you’re into snorkelling don’t forget your gear. Sveti Klement, the biggest island of the Pakleni, has multiple bars and restaurants and offers several accommodation options, although many visit the island on a day trip. 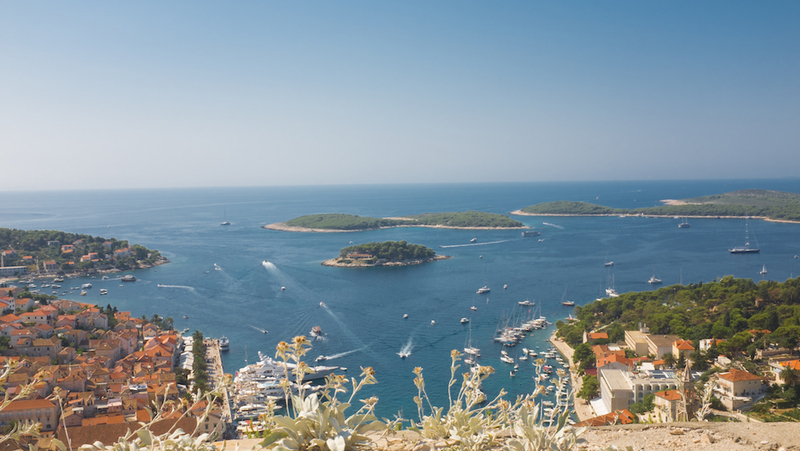 Boat taxis from Hvar will take you to set locations on the island but you can also rent a boat for a day and sail around looking for the quieter lagoons on your own — pack a picnic and make it a boat trip!